Ross Alexander, whom Warner Bros. was obviously grooming for big-time stardom, is cast as Bill McAllister, the ne'er-do-well nephew of wealthy apple merchant Fred Schultz (Joe Cawthorn). Cut off without a cent, Bill soon finds out who his real friends are and wins the hand of Hazel Robinson (Anita Louise), who isn't at all interested in money. 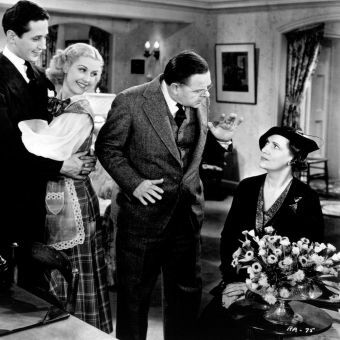 Since the film is based on a 1925 stage comedy, it should come as no surprise that our hero makes good and strikes it rich sometime during the third act. Alas, the promising career of Ross Alexander was cut tragically short by his suicide at the age of 29.